When Theresa May became prime minister in July she stood on the steps of 10 Downing Street and declared: “When it comes to opportunity, we won’t entrench the advantages of the fortunate few. We will do everything we can to help anybody, whatever your background, to go as far as your talents will take you”. 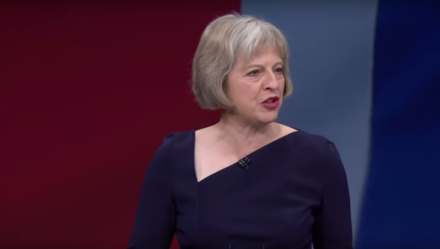 May’s first speech as Prime Minister was certainly an astute piece of political cross-dressing. By targeting social mobility and injustice she made a bold pitch for the centre ground, on issues which Labour has long believed are an intrinsic part of its identity. At first her approach worried many in the party. One friend text me during her speech saying ‘Theresa May is burying the Labour Party live on TV’. However, my friend needn’t have worried. By announcing a return to grammar schools and selective education, it’s already clear that the prime minister has no intention of following through on her Downing Street promise to tackle injustice. A return to selective education – after years of fragmentation, academisation and the disaster of falling teacher numbers and morale – would be further proof that education policy isn’t safe in the Tory’s hands. But the damage is not just being done in education. After six years of Tory-led government the NHS is in crisis: a record number of trusts in deficit; the worst set of performance figures for A&E, planned operations and ambulance response times; and a health secretary, Jeremy Hunt, at war with junior doctors. It’s no wonder that the chief executive of NHS Providers warned this week that the service is under “the greatest pressure in a generation”. And then there’s Brexit. It’s now clear that the Government has no plan for how to renegotiate our relationship with Europe. Already the Brexit cheerleaders have begun dumping the litany of false promises on which they fought the referendum campaign. So £350m a week for the NHS? – gone. A points based system for immigration? – not going to happen. State aid to the steel industry? – I wouldn’t bet on it. So although the referendum might be over, it doesn’t mean the fight is over. The details of any deal with the EU – whether on workers’ rights, ERDF and ESF funding, the rights of EU citizens living the UK, or a new immigration system – will have a huge impact on working people. Labour must be a strong voice holding the government to account during Brexit negotiations. Right across the board the Government’s shambolic policies are destroying our public services and damaging the life chances of millions of young people. But we can only win a fight with the Tories on education, the NHS or Europe if we unite as a party. We can’t hide that it has been a summer of division for Labour. I didn’t believe that with the Tories in disarray over the EU referendum result and engaged in a leadership contest of their own, it was the right time for our party to have a leadership contest. However, we are where we are and having had that debate and the election, we must ensure that once the process concludes we emerge stronger. So, whoever is elected leader this month, will have my full support. We need unity to ensure that May’s attack on social justice is stopped in its tracks. Whoever is Labour leader at the end of the contest must make an effort to bring their opponents back into the fold, rather than seeking to punish them for supporting someone else. We’ve seen too much abuse either online or in person directed at party members and MPs who disagree. This has to stop. It’s not an acceptable part of our party and I’m glad that both Jeremy and Owen have condemned it. But just as the leader must reach out, similarly all parts of the party must respect the mandate of the democratically elected leader of the party. The re-introduction of shadow cabinet elections would be a positive step towards an amicable reconciliation and the rebuilding of a stronger Labour team in Parliament. So we can’t delay – it’s time for the factional infighting to end. May has already betrayed her Downing Street promise and her Government’s policies are beginning to look like the biggest attack on the poor and the disadvantaged since Thatcher. Now more than ever we owe it to party members and the people of Britain to have a united Labour Party which can take the fight to the Tories. Afzal Khan is a Labour MEP for the North West of England.